The lovebird refers to one of nine species of bird that falls under the Agapornis genus. In Thai it is also referred to as the lovebird, the pronunciation in Thai, due to transliteration would be “Lerv Berd”. As its name suggests, the bird represents the symbol of “Love”, and they are said to always stay to close to one another in pairs as if in love, like couples, they are inseparable. The lovebird is a cute pet with their colourful feathers. Their average lifespan is 10 to 15 years, while they range in length at wingspan from seven to 13 centimetres, weighing between 40-60 grammes. 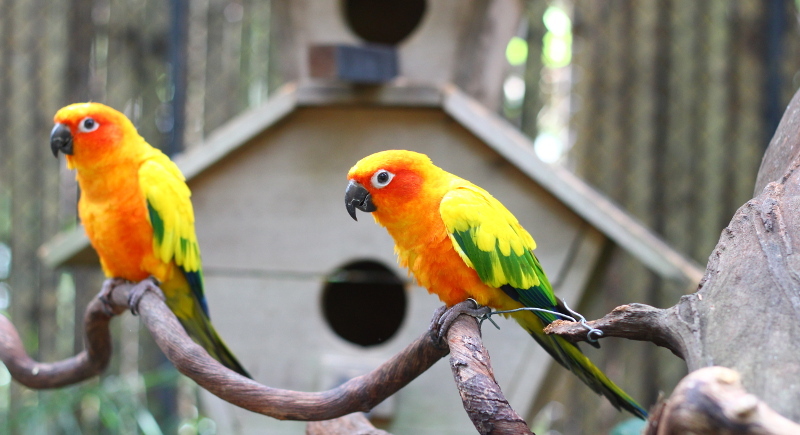 The lovebird is native to Madagascar, Africa and Indonesia. As there are nine different species, they feature various different colours. 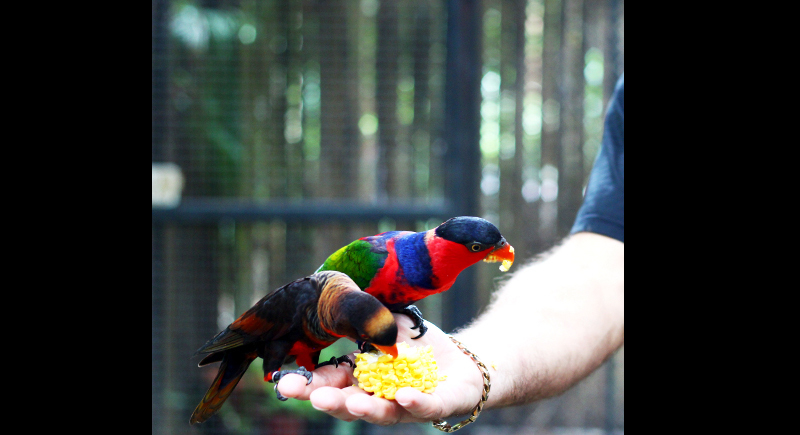 More information and observation can be had at Phuket Bird Park. Stealing the ability of flight for these beautiful creatures is horrible. No bird should ever be put in a cage for the rest of its life just to entertain humans. Bird parks are a prison for birds. Please don't support them. There are plenty of gorgeous birds to see in the wild, even in Phuket.